The blog has been on hiatus the last couple of weeks. We have been quite busy. I was recently accepted to the University of Queensland, in Brisbane, Australia, to work with Peter Harrison on my PhD. As a result, we have been busy with visa applications, selling, packing, and figuring out the logistics of leaving half of our belongings here in the USA and shipping the other half to Australia. Once I have an extended break, I will return with some reviews of recent articles and books I’ve read. Andrew Higgins, in one of the cover stories of today’s New York Times, reports how the European Commission ordered the National Bank of Slovakia to remove halos and crosses from a commemorative euro coin to be minted this summer (“A More Secular Europe, Divided by the Cross“). 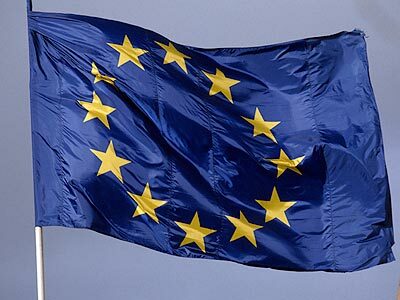 But according to Katharina von Schnurbein, the commission official responsible for outreach to both religious and “philosophical and non-confessional organizations,” the “European Commission is not the anti-Christ.” The report also notes that even the European Union’s flag has a coded Christian message. Indeed, the French Catholic, Arsène Heitz, who designed the flag in 1955, was inspired by Christian iconography of the Virgin Mary wearing a crown with 12 stars. These stars are also depicted on the to be minted coins. The unification of Europe too has its origins in Christian ideals. A united Europe was first proposed in the ninth century by Charlemagne, the first ruler of the Holy Roman Empire. But modern history tells a different story. The 1951 Treaty of Rome and other founding texts of the EU, makes no mention of God or Christianity. The EU, Higgins admits, is generally uncomfortable with religion. He gives two reasons for this. First, well-organized secular groups that “pounce on any hint that Christians are being favored over other religions or nonbelievers” are increasing in number and campaign strategies. The second reason, however, is somewhat contradictory. Higgins claims that “church attendance is falling across Europe as belief in God wanes and even cultural attachments wither.” But in the very next sentence he states that “the continent’s fastest-growing faith is now Islam.” He also states that in Britain more people believe in extraterrestrials than in God, and offers a statistical number—without reference—asserting that only half the population of the EU as a whole believe in God. But this is evidence not so much of religious decline as it is of religious transformation. Ultimately, Higgins concludes, Slovakia’s national bank has decided to stick with its original coin design, with halos and crosses (which makes one wonder of the editorial wording of the title). 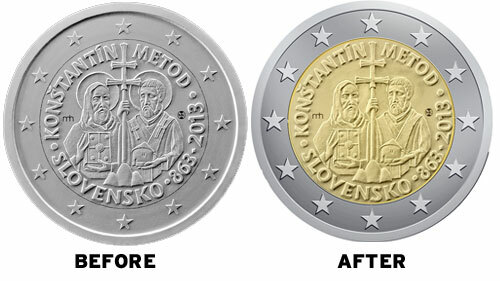 The European Commission has also agreed to adhere to the original design, honoring the memory of Cyril and Methodius. In contrast, according to Geoffrey Cantor in a recent Isis article, the exhibition was viewed by many contemporaries as a religious event of considerable importance. Indeed, he argues that the exhibition should be “set within a religious framework.” Cantor finds support for his argument in sermons, tracts, and the religious periodical press. But a less extreme assessment was adopted by most other Christians. 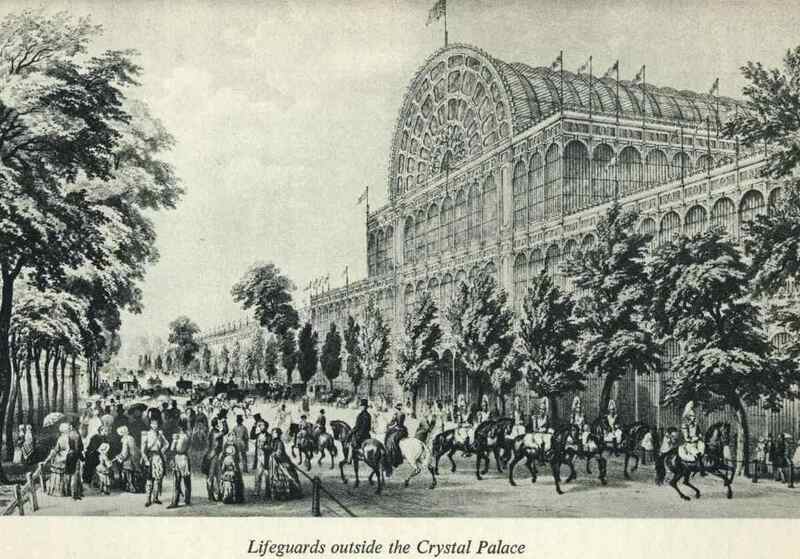 The first were mild supporters of the event, but who stressed that the exhibition was “merely temporary and temporal when compared with the eternal verities of Christianity.” Other religious writers were greatly impressed by the exhibition and strongly supported it, albeit with a warning against products and materials of physical comfort, prosperity, and pride. Still others strove to reconcile the manifest materiality of the exhibition with traditional Christian values. These Christian writers would render the exhibition safe by setting it within a religious framework. When it seemed that the exhibition focused attention on the artisans, sermons were preached that God is the author of all those gifts and qualifications by which men become skilled in the arts and sciences. “The activities of the scientist, the craftsmen, and the manufacturer are therefore manifestations of God’s providence” as well. A post in April discussed the connection between the “revolution” in biology and its often neglected metaphysical underpinnings. In this post I want to briefly discuss the development of early theories of evolutionism and the full implications of Darwinism. Following on from the impact of geological and paleontological discoveries in the early nineteenth century, evolutionary theories challenged the story of human origins recounted in religious traditions and texts. Evolutionism broke down the barrier between humanity spirituality and the mentality of animals. Some of the more materialistic theories of evolution also undermined traditional belief that nature itself is divinely designed and constructed. In the Darwinian theory of natural selection, struggle and suffering are the driving forces of natural development and, hence, the root cause of our own origins. Despite the ongoing sources of conflict, recent historians have shown that the conventional image of nineteenth-century Darwinism sweeping aside religious beliefs is an oversimplification. The materialistic implications of Charles Darwin’s (1809-1882) theory, for instance, were suppressed by many of supporters and first-generation evolutionists. In the so-called Darwinian “revolution,” evolutionism was popularized only by linking it to the claim that nature is progressing steadily toward higher mental and spiritual states and by making the human species both the goal and the cutting edge of that progressive drive. A sense of purpose was built into the operations of nature itself. This was not Darwin’s view, however. During the seventeenth century, naturalists believed that the world was created by God only a few thousand years ago. Books such as The Wisdom of God Manifested in the Works of Creation by John Ray (1627-1705) argued that each species was perfectly adapted to its environment because it had been created by a wise and benevolent God. This view was repeated in the Natural Theology of William Paley (1743-1805). In the eighteenth century, however, the worldview of what would now be called simple creationism was challenged. In part, this was a product of the discoveries made by geologists and paleontologists. The world was clearly much older than a literal interpretation of the Genesis story would suggest. There was increasing evidence from the fossil record that some species had not only become extinct in the course of geological time, but had been replaced by others. Following the work of Georges Cuvier (1769-1832), these conclusions became inescapable. Even before this, however, materialist thinkers such as Georges Leclerc, Comte de Buffon (1707-1788), and Denis Diderot (1713-1784) had begun to suggest that life could be created on the earth by natural processes and that the species thus produced might change in response to natural forces. By the end of the eighteenth century, Erasmus Darwin (1731-1802) and Jean Baptiste Lamarck (1744-1829) were beginning to suggest comprehensive theories of transmutation in which life had advanced slowly from primitive origins to its present level of development. The adaptation of species to their environments was explained by supposing that individual animals modified their behavior in response to environmental change, and any resulting changes in their bodily structure were inherited. Radical anatomists began using materialistic theories such as Lamarckian transformism to attack the image of a static, designed universe that sustained the traditional social structure. Thus evolutionism became firmly linked to materialism, atheism, and radical politics. In Britain, however, the anatomist Richard Owen (1804-1892) modernized the view that all species are divinely created by stressing the underlying unity of structure among all of the members of each animal group: The Creator has instituted a rational plan for his universe that could be deciphered by the comparative anatomist. In 1844, an effort to make evolutionism acceptable to a middle-class audience was made in an anonymously published book, Vestiges of the Natural History of Creation, actually written by Robert Chamber (1802-1871). The book proclaimed a message of progress through nature and human history but attempted to circumvent the charge that transmutationism was atheistic by arguing that progress represented the unfolding of a divine plan programmed into nature form the beginning. In 1859, the situation was changed dramatically by the publication of Darwin’s Origins of Species. Darwin proposed new lines of evidence to show how evolutionism could explain natural relationships, but he also suggested a new and potentially more materialistic mechanism of evolution. Following the principle of population expansion suggested by the political economist Thomas Malthus (1766-1834), Darwin deduced that there must be a “struggle for existence,” in which any slight advantage would be crucial. Those individuals with variant characters that conferred such an advantage would survive and reproduce, passing the character on to their offspring. Those with harmful characters would be eliminated. This process of natural selection would, thus, gradually adapt the species to any changes in its environment. The philosopher Hertbert Spencer (1820-1903) called it the “survival of the fittest.” As understood by modern biologists, Darwin’s theory implied a branching model of relationships, in which there could be no single goal toward which life has tended to evolve and no inevitable trend toward higher levels of organization. Conservative opponents to Darwin’s theory correctly pointed out that it not only were humans reduced to the status of animals, but also the natural world that produced us was reduced to a purposeless sequence of accidental changes. 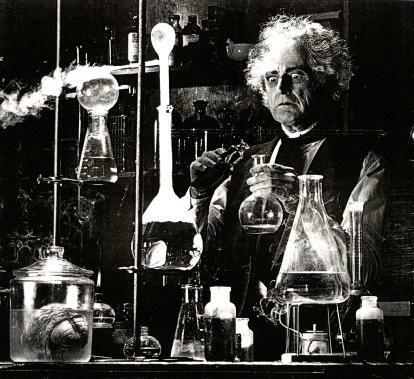 By the 1870s, the vast majority of scientists and educated people had accepted the basic idea of evolution. But in what form did they accept the theory? Was it the radical materialism of the theory of natural selection,or was it a less threatening version of evolutionism, a compromise in which some form of purpose was retained by assuming that natural developments tended to progress toward higher states? Recent historical work suggests that there was much compromise by all parties. There were, no doubt, conflict between conservatives and radicals. But, in the end, both sides came to accept evolution, and neither wanted a worldview based on nothing but chance and suffering. On the one hand, conservatives argued that evolution represented the unfolding of a divine plan. It was not some haphazard mechanism such as natural selection. On the other, radicals wanted a changing universe based on natural law but assumed that the changes would, in the end, be beneficial and moral. Thus they upheld a teleological evolutionism. In other words, neither side accepted the full implications of Darwin’s theory of natural selection. One of the more hotly contested issues was the evolutionary origin of the human race. Darwin had been aware from the start of his theorizing that evolutionism would affect our ideas about human nature in a way that would undermine the traditional concept of the soul. His mature views on this issue were eventually presented in his Descent of Man (1871). He argued that many aspects of human behavior are controlled by instincts that have been shaped by natural selection. Our moral values are merely rationalizations of social instincts built into us because our ancestors lived in groups. Prior to Descent Spencer had already proposed an evolutionary psychology, and later evolutionists would build upon Darwin and Spencer’s work to propose a evolutionary sequence of mental faculties ultimately leading in the progress toward mankind. But unlike Darwin these later “evolutionary psychologists” retained some teleology of progress in their sequences. A few evolutionists, including the co-discoverer of natural selection, Alfred Russel Wallace (1823-1913), were so concerned with the implications of Darwin’s claims that they refused to endorse such views, holding that some supernatural intervention was still required to explain the appearance of the human mind. The Roman Catholic anatomist St George Jackson Mivart (1827-1900) argued that, while the evolution of the human body might be explained naturally, the soul must be a divine creation. But most stanch Darwinists believed that an ad hoc discontinuity marking the advent of the human spirit violated the “logic” of the evolutionary program, and the image of a distinct human spiritual character was readily abandoned. Those deeply religious evolutionists like Wallace and Mivart would make further concessions, arguing that traditional moral values were not at variance with nature but were built into nature in a way that ensured their emergence in the human mind. Henry Drummond’s (1851-1897) Ascent of Man (1894), for example, presented cooperation, not competition, as the driving force of progressive evolution and implied that the human race was the inevitable culmination of the development of life. The implications of integrating humankind into nature became apparent only in the early twentieth century, when thinkers began exploring that possibility that the world might not, after all, be evolving toward higher states. Sigmund Freud (1856-1939), for example, built on the idea of evolution to argue that our subconscious thoughts are shaped by instincts from our animal past. The loss of faith in progress precipitated by World War I also helped usher in the fuller implications of Darwinism. Many continue to reject, explicitly or implicitly, the Darwinian theory of natural selection in favor of a more purposeful or morally acceptable process. Conservatives wanted to believe that nature still exhibits evidence of design by God, even if individual species were produced by natural law. Radicals too found natural selection hard to accept, arguing for non-Darwinian evolutionary mechanisms, which allowed everyone to believe that there was something more to natural development than mere trail and error. The Lamarckian theory seems to imply a more purposeful evolutionary process because it allowed individual self-improvement to be inherited and implied that purposeful changes in animals’ behavior was the directing agent of evolution. It was, of course, the opponents of natural selection who first correctly identified its materialistic implications. They saw that in a universe governed solely by random variation and the survival of the fittest, the existing state of nature must be the outcome of trail and error, not of purposeful intention. The most well-known and effective collection of antiselectionist arguments was Mivart’s Genesis of Species (1870). In this text Mivart’s strategy was to demonstrate that evolution was under divine control. But for Darwin all aspects of evolutionary process was susceptible to natural explanations. The disparity between his theory and what has become known as theistic evolutionism became evident in a controversy with American botanist Asa Gray (1810-1888). Gray was a stanch defender of Darwin against those who rejected evolution. But in a series of paper collected in his Darwiniana (1876), Gray’s views on design forced him to express doubts about natural selection. He was forced to admit that selection based on random variation seemed to eliminate any real sense of design in nature. According to Darwin, all of the evidence from plants and animal breeders proved that variation was purposeless. For many evolutionists wishing to retain the belief that nature is somehow the expression of the divine will, Lamarckism seemed to solve the problem highlighted by Gray. Novelist Samuel Butler (1835-1902) wrote that natural selection was a “nightmare of waste and death,” but Lamarckism made life self-creative in a way that fit a more general belief in the purposeful character of nature. Secular scientists also found Lamarckism more acceptable. Whereas the conservatives Lamarckists saw “design in nature,” radical Lamarckists saw the “laws of nature” as the creative force. Modern Darwinism has now added genetics to its repertoire. In the 1930s, the “modern synthesis” of genetics and Darwinism was constructed, and remains the dominant view of scientific evolutionism. Some modern Darwinians continue to defend the view that evolution is progressive in a way that reflects human values. Julian Huxley (1887-1975), for example, endorsed the theistic evolutionism of Pierre Teilhard de Chardin (1902-1984), accordin to which the development of life is tending toward an “omega point” of spiritual unification. But others have called the human race to “grow up” and realize that the values it cherishes are not respected by nature. George Gaylord Simpson (1902-1984), for example, argued that Darwinism is essentially materialistic: there is no purpose in nature and no goal toward which evolution is striving. In such a view, we are, indeed, products of a cosmic accident. As scientists began to insist that we must learn to live with the idea that we are products of a purposeless and, hence, morally neutral natural world, so the modern backlash began. Two very different stands of protest can be identified. The most well-known—and popularized by the media—is what is now called creationism. Less well-known is the current of anti-Darwinian thought emanating from both religious and philosophical critics of Darwinism who unite around the claim that the development of life cannot have been brought about by a process as purposeless as natural selection. Modern religious opposition to Darwinism thus runs the whole gamut from creationism that rejects the traditional scientific explanation of the geological record through more sophisticated versions in which philosophical, moral, and even scientific arguments are ushered against Darwinism. Even the more liberal and radical thinkers who accept a completely evolutionary worldview do so as long as the Darwinian mechanism is marginalized in favor of something that allows for progress and purpose in nature. The mind ranges to and fro, and spreads out, and advances forward with a quickness which has become a proverb, and a subtlety and versatility which baffle investigation. It passes on from point to point, gaining one by some indication; another on a probability; then availing itself of an association; then falling back on some received law; next seizing on testimony; then committing itself to some popular impression, or some inward instinct, or some obscure memory; and thus it makes progress not unlike a clamberer on a steep cliff, who, by quick eye, prompt hand, and firm foot, ascends how he knows not himself, by personal endowments and by practice, rather than by rule, leaving no track behind him, and unable to teach another. It is not too much to say that the stepping by which great geniuses scale the mountains of truth is as unsafe and precarious to men in general, as the ascent of a skillful mountaineer up a literal crag. It is a way which they alone can take; and its justification lies in their success. And such mainly is the way in which all men, gifted or not gifted, commonly reason,—not by rule, but by an inward faculty. On May 12 of 2010, the general reading public witnessed a robust, if not at times acerbic, exchange between two prominent scholars of modern European history. It began with the publication of a review essay entitled “Mind the Enlightenment” in The Nation magazine by Samuel Moyn, professor of modern history at Columbia University. In that article he attacks Jonathan Israel’s massive multivolume history of the Enlightenment. Israel, professor of the Institute for Advanced Studies at Princeton University, is a recognized expert on early modern European history. Much of his work is concerned with European colonial history, with a particular emphasis on the history of ideas. He is an authority on the Dutch Golden Age (1590-1713), including the Dutch global trade system, seventeenth-century Dutch Jewry and Baruch Spinoza (1632-77), and the Glorious Revolution (1688-91) in Britain. In his article, however, Moyn’s primary concern is Israel’s recent multivolume series on the Enlightenment, beginning with his Radical Enlightenment (2001), Enlightenment Contested (2006), and his latest, which happens to be only an interlude, A Revolution of the Mind (2010). Israel’s thesis in this series of writings is that the impetus for the “radical” Enlightenment was largely “Spinozist.” That is, a great number of eighteenth-century philosophes adopted Spinoza’s materialist monism and his critique of revelation and religion. For Israel, Spinoza acts as the progenitor of modern thought, who seemingly dismissed all authority grounded in tradition. In other words, Spinoza’s thought was the sui generis which propelled the “general process of rationalization and secularization” that produced “modernity.” Other scholars, however, have recently not only pointed to the overall moderate nature of the eighteenth-century Enlightenment, but have also demonstrated a preference for a “family” of Enlightenments, distinguished by geographical boundaries. Radical Enlightenment is the system of ideas that, historically, has principally shaped the Western World’s most basic social and cultural values…democracy; racial and sexual equality; individual liberty of lifestyle; full freedom of thought, expression, and press; eradication of religious authority from the legislative process and education; and full separation of church and state. In short, Israel’s work on the Enlightenment expresses the conviction that the revolution in thought, which seemingly received its impetus from the atheistic, deistic, or materialist philosophy of Spinoza, ultimately inspired a profound and deeply progressive advance in society and culture. Further, Moyn finds Israel’s A Revolution of the Mind supported by a faulty premise: namely, “that a philosophy of naturalism and liberal-democratic politics are inextricably linked.” By arguing that the universe was only one substance, Spinoza, as it were, “knocked the legs out from under priests and kings alike.” But according to Moyn, this “leitmotif” is deeply flawed. Israel ignores the impact of other thinkers, for example, Thomas Hobbes (1588-1679), who, a whole generation before Spinoza, declared a politics likewise based on a materialist metaphysics. On a methodological level then, Moyn contends that Israel selectively subordinates all thinkers under a categorical “Spinozism.” This has led another critic, Anthony J. La Vopa, to argue that Israel’s central fallacy is a sort of “package logic.” As Moyn puts it, “the result of evaluating a century’s worth of thought according to how closely it conforms to a checklist is strange history, and arguably not history at all.” Constrained by his own constructed categories, Israel has evoked not only with a presentist, metahistory of the Enlightenment, but an oversimplified classification of the “radical” and “moderate” camps. Israel, in turn, has directly responded to Moyn’s criticisms. His first response “Spinoza and Vultures and Gnats, Oh My!” was published in the “Exchange” column in The Nation’s 2010 July issue. It is a biting rejoinder, calling Moyn’s interpretation of his argument “unbelievably inaccurate.” Israel responds first by saying that his work accounts for the Enlightenment’s origins and development by “setting out various social and cultural factors pivoting on the philosophical revolution of the late seventeenth century,” with contributions from Descartes, Hobbes, Spinoza, Locke, Bayle, and Leibniz. All shaped, Israel maintains, “the moderate and radical wings of the Enlightenment.” Yet he continues to uphold Spinoza, who “surpassed the others in contributing to the Radical Enlightenment.” He argues that there is no “faulty premise” in his connection of naturalism with liberal-democratic politics: “The only way to break the ancient régime system conceptually…was to destroy the notion that the existing order was divinely authorized, directed by divine providence and legitimately presided over by the clergy and monarchy.” He concludes by saying that Moyn’s understanding of the French Revolution is “absurdly wrong,” and accuses him of not having the “faintest clue” of the argument of the books under his review. The close relationship between natural philosophy and theology is evident in almost every area of inquiry about the natural world during the scientific revolution. The debates about the new heliocentric astronomy, the arguments for a new philosophy of nature to replace medieval Aristotelianism, the development of a new concept of the laws of nature, and discussions of the scope and limits of human knowledge were all infused with religious commitments and theological presuppositions. Another common theme in seventeenth-century discussions was expressed in the metaphor of God’s two books: the book of God word (the Bible) and the book of God’s work (the created world). 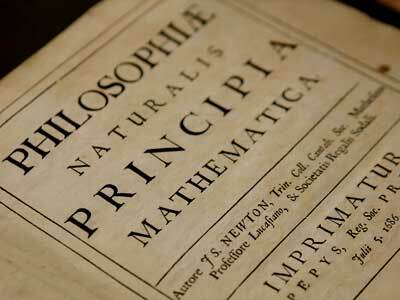 Natural philosopher regarded both books as legitimate sources of knowledge. Natural philosopher undoubtedly disagreed about exactly how God related to the world. But to study the created world produced knowledge both of the phenomena and the laws of nature and revealed God’s relationship to his creation. 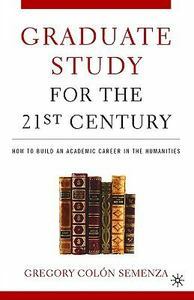 During my down time I’ve been paging through Gregory Colón Semenza’s Graduate Study for the 21st Century: How to Build an Academic Career in the Humanities (2005). It is an ideal book for the graduate student. It covers topics such as the culture of graduate programs (teaching, research, and service), the politics of academic life (the “high priests” and “priestesses,” the “deadwood,” the “black sheep,” the “careerists,” the “service slaves,” the “curmudgeons,” the “young Turks,” the “hall-talkers,” the “theory boy or girl, “the “long-life learners,” and “everyman” and “everywoman”) organization and time management, outlook of the graduate seminar, the seminar paper, teaching, comprehensive exams, the dissertation, attending conferences, publishing strategies, service and participation, and prospects of the job market. Written with enthusiasm and much wisdom, Semenza’s book should be the premier textbook for any graduate student in the humanities. What I found particularly insightful were his chapters on the dissertation and publishing. His recommendation that “you think of your dissertation as a book and that you write it in the form and style of a published scholarly monograph” was both enlightening and necessary. Although amusing and entertaining in many places, Semenza’s book is not for the faint at heart. It is a heavy book, in the sense that it unabashedly reveals the intensity of the graduate program in the humanities. The onerousness and rigorousness of the graduate program is, however, made less burdensome thanks to the guidance and insights of this book. Continuing the trend from the last post, in this post we will be looking at a different book, The Desecularization of the World: Resurgent Religion and World Politics (1999), edited by Peter L. Berger. Few scholars have contributed so much to our understanding of religion and modernity as Berger. Beginning in the 1960s, he advanced the argument that the collapse of “the sacred canopy” provided by religion has created a crisis for faith, forcing it into a position of “cognitive bargaining” but ultimately ends up bargaining away religious substance in order to survive in a relentlessly secular and secularizing modern world. These thoughts were first published in his widely popular book The Sacred Canopy: Elements of a Sociological Theory of Religion (1967). In this more recent book, however, Berger has changed his mind, reproves his earlier thoughts on the subject, and tells us why in the introductory essay. Indeed, what needs explanation, he tells us, is not the continued vitality of religion, a phenomenon that puzzles so many modern intellectuals, but why so many modern intellectuals are puzzled by it! The present collection of essays emerges from a conference sponsored by the Ethics and Public Policy Center, which includes a leading essay by Berger, along with other expert sociologists George Weigel, David Martin, Jonathan Sacks, Grace Davie, Tu Weiming, and Abdullahi A. an-Na’im. What needs to be said at the outset is that this book is dated. Most of the essays, moreover, are unremarkable and thus most are not worth detailed exposition. To summarize its contents is a simple task. In the opening essay, Berger refutes the link between secularization and modernity; Weigel writes about Roman Catholicism, telling us that the Catholic Church “has reacquired a certain critical distance from the worlds of power, precisely in order to help those worlds accountable to universal moral norms;” Martin writes about the Evangelical upsurge, assigning its political implications to its individualistic approach and pragmatism; Sacks, who focuses on Jewish identity in the context of post-modernity and secularization, says that Jews live “in a condition of ambivalence about themselves and trauma about their relationship with the world”; while the rest of the world tends toward desecularization, Europe seems to be the exception to the rule, says Davie; in communist China Weiming writes that “as China is well on it sways to becoming an active member of the international society, the political significance of religion will continue to be obvious”; and writing about political Islam, an-Na’im says that the principle of pluralism and the protection of basic human rights, which is and always has been an Islamic imperative, should be followed. Out of the seven essays, two stand out. Berger’s essay was the keynote lecture of the series, and of course, he is interested in doing more than just describing the current state of play of world politics. Berger begins by musing over the recent interest in the Fundamentalism Project. Sponsored by the American Academy of Arts and Sciences and the MacArthur Foundation, the Project was an international scholarly investigation of conservative religious movements throughout the world. The Project, which began in 1987 and concluded in 1995, was directed by Martin E. Marty and R. Scott Appleby. Why, Berger muses, exert resources to studying religious fundamentalism? The most obvious answer was that because “fundamentalism” is such a strange and hard-to-understand phenomena, the purpose of the Project was to delve into this alien world and make it more understandable. While the world today is massively religious, there are, however, two exceptions, one somewhat unclear, the other very clear. The first apparent exception is of course Europe. In Western Europe, if nowhere else, the old secularization theory seems to hold true. There are indeed increased indications in secularization both in expressed belief and personal codes of behavior. Yet there are a number of recent works, Berger notes, that make this exception deeply problematic. Notably in France, Britain, and even Scandinavia, there is a body of literature indicating strong survivals of religion. What’s more, it seems that there has only been a shift in the institutional location of religion, rather than secularization. That is, there has been a shift away from organized religion, to personal, “spiritual” religious attitudes. Thus Europe as secular is a rather ambiguous assertion, requiring much qualification, detailed and careful analysis. The other, and definitely clearer, exception to the upsurge in religious movements is the existence of an international subculture composed of people with Western-style higher education, especially in the humanities and social sciences, that is indeed secularized. “This subculture is the principal carrier of progressive, Enlightened beliefs and values. Although relatively thin on the ground, they are widely influential, providing the ‘official’ definitions of reality, notably the educational system, the media of mass communication, and the higher reaches of the legal system.” Berger calls them the a “globalized elite culture,” and the plausibility of secularization theory owes much to this elite subculture, for when they travel they usually touch down in isolated, intellectual circles, i.e. among people much like themselves. But because of this, they easily fall into the misconception that these people reflect the overall society, which is, of course, a mistake. What are the origins of this new religious upsurge? Berger hints at two possible answers: first, religion provides certainty when so much of our taken-for-granted certainties have been undermined by modernity, or it appeals to people who resent the social influence of that small, cultural elite. But the most satisfying answer, Berger says, and the most historically accurate, is that “strongly felt religion has always been around; what needs explanation is its absence rather than its presence.” Thus the so-called “religious upsurge” simply serves to demonstrate continuity in the place of religion in human experience. What are the prospects of this new religious upsurge? Berger argues that there is no reason to think the world of the twenty-first century will be any less religious than the world of past generations. But it is also true that many of these religious movements are linked to non-religious forces of one sort or another, and thus the future course of the former will be at least partially determined by the course of the latter. The other essay worth noting in the collection is Davie’s “Europe: The Exception that Proves the Rule?” Davie takes secularization theory quite seriously, and it seems that data proves that in Europe the old secularization thesis hold true. But data, she points out, never explains anything. It is the interpretation of data that explains. The data from Europe, for instance, provides several interpretations, and that some explanations are more nuanced than others. Davie proposes that “might it not be the case that Europeans are not so much less religious than citizens in other parts of the world as differently religious?” Her emphasis.